This is the third collection of short stories by Yoon Sung-hee, who is noted for works that softly and warmly summons lives that, like grains of sand, bear a reality full of pain and despair. It gathers eleven works including �The Unfinished Words,� the winner of the Isu Literary Award in 2007, �A Sneeze,� the finalist for the Hwang Sun-won Literary Award and the Hankook Ilbo Literary Award in 2006, and �Knees.� The author�s works, which at a glance lack order yet are satisfying and entertaining, revive even figures and incidents that can be hackneyed and insipid in a world of facetious and extravagant lies and even mention anecdotes about tragic and dark everyday lives as if they were mere jokes. In revealing a sense of solidarity that is seemingly indifferent to emotional scars and ruptures, they are amply consoling. A series of simple sentences without special literary rhetoric, Yoon�s works consist of stories (moments) that crisscross, intermingle, and continue endlessly, combining the tragic and the comic. They are characterized by brief and rapid sentences and heartwarming humor that shine forth even in a few sentences. The most prolific writer born in the 1970�s, she is perfecting her mastery, which amply moves even without a sensuous style or eye-catching descriptions. 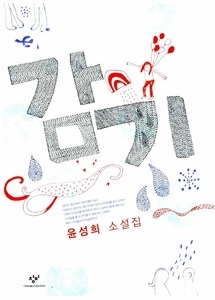 Yoon�s works, which even readers who simply want to savor the joy of reading instead of being deeply moved or edified will find hard to put down, are no doubt the life and energy of Korean fiction today.